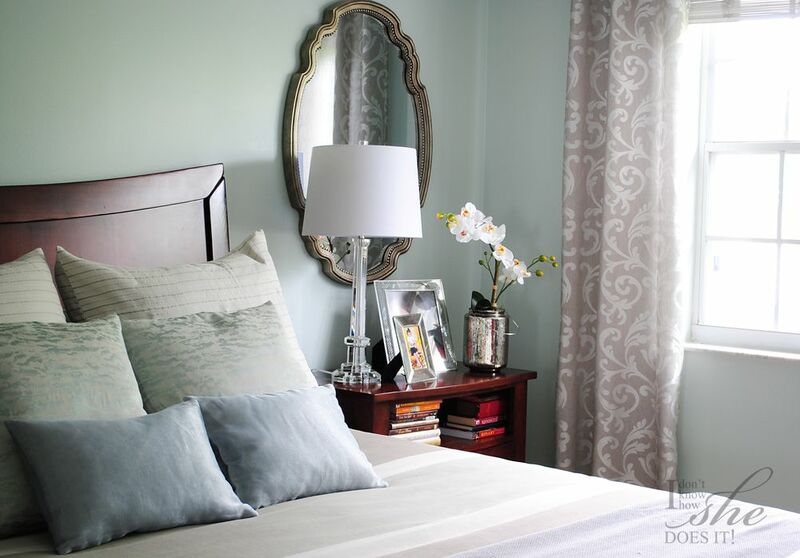 A soft palette was the most important aspect in this room. On the walls I used Behr paint (available at The Home Depot) in “Valley Mist” color (460E-1). Designing for someone else is never a hard task. With the right inspiration and gathered ideas I was able to transform a dark and sober master room into a serene and spa-like space without changing its furniture. For this project color was the an important element to bring in clarity. After this, with just a couple of accessories and mirrors (to deliver in more light), this room got a new and modern look. It feels so good to see a great before and after photo, wouldn’t you agree? 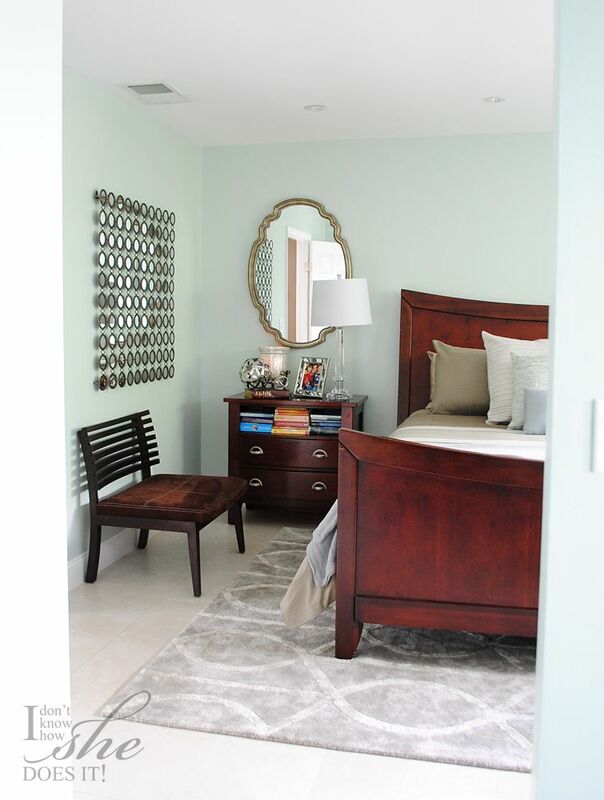 How incredible is the accent circle mirror on the left!?!?! 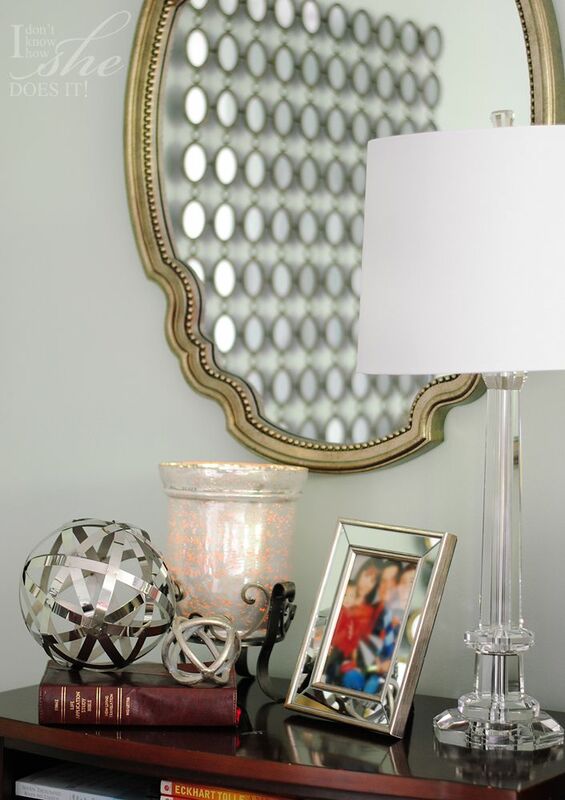 Find the Sacha Mirror on Ballard Designs. 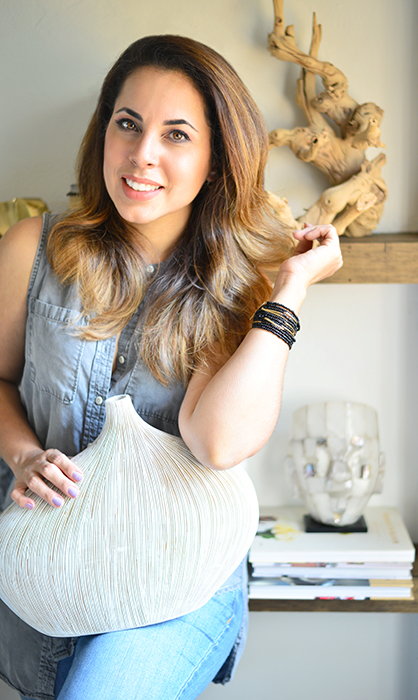 Adding some circle accessories gave this space an organic feel. These orbs are from HomeGoods. 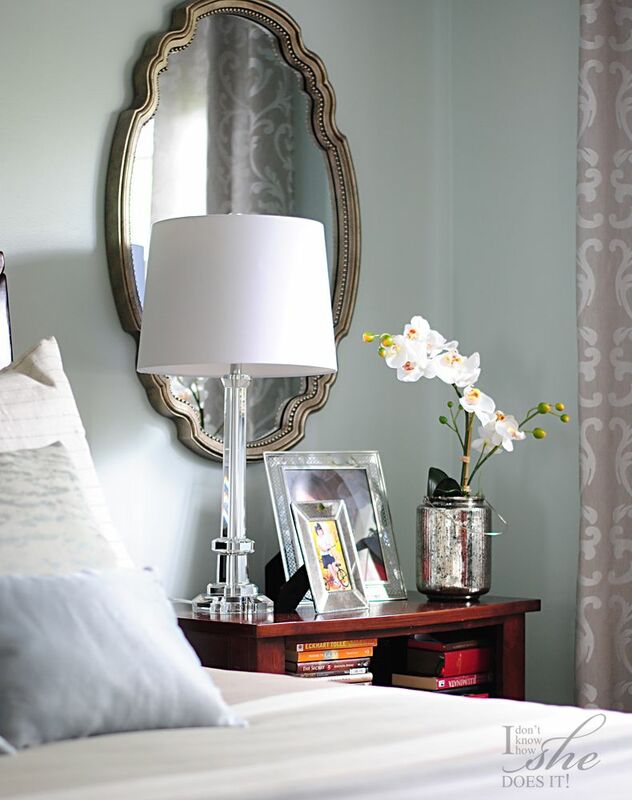 To make this room seem brighter, a crystal base lamp and a mercury glass vase were some of the accessories selected. These and the oval mirror are from HomeGoods. A mix of textures and forms were the main elements prominent in this space. Wow, Glori, this is really beautiful. You are a very talented lady!